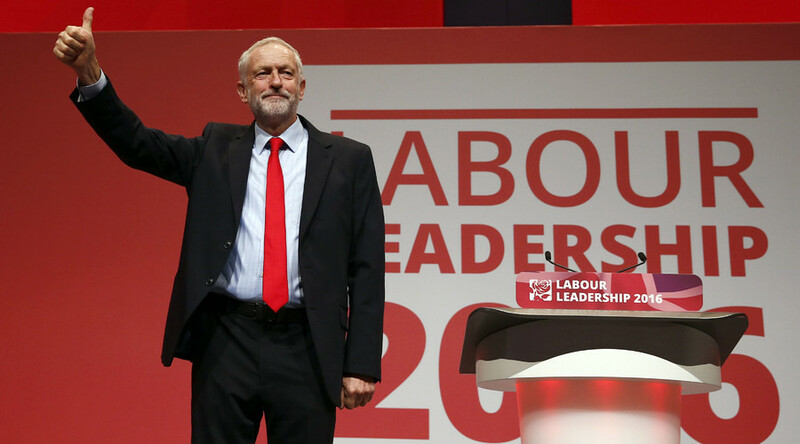 Jeremy Corbyn has been re-elected as leader of the Labour Party winning a massive 61.8 percent of the vote, an even larger margin than his original election win in 2015. Corbyn saw off opponent Owen Smith on Saturday with 313,209 votes to 193,229. "We have much more in common than that which divides us,” the 67-year-old told his party’s gathering in Liverpool. “As far I am concerned, let's wipe that slate clean, from today, and get on with the work we have got to do as a party together." Smith also tweeted his congratulations to Corbyn “on being elected decisively” as Labour leader. “Now is time for all of us to work to take Labour back to power,” Smith tweeted. Congratulations to @jeremycorbyn on being elected decisively as our Leader. Now is time for all of us to work to take Labour back to power. Saturday’s win for Corbyn sees him taking a slightly larger slice of the vote than when first elected Labour leader in September 2015. In that election, Corbyn won 59.5 percent of the vote, beating three other candidates to the job. It hasn’t been an easy ride for Corbyn since then, however, particularly after the Brexit vote. He was criticised for his apparent lack of leadership in the EU Remain campaign. His critics accused him of of abandoning his “natural and historic” position over Europe by committing the Labour party to campaigning to stay in the EU. Corbyn’s pro-EU supporters and colleagues accused him of failing to campaign as much as they would have liked. Numerous members of his shadow cabinet stood down in the weeks that followed the June referendum. He also lost a party vote of confidence 172 votes to 40, but Corbyn refused to step down. With many of his fellow MPS finding his views too left wing for the party, his critics have said that with Corbyn at the helm, the Labour party will never be returned to power, with voters instead backing their main opposition, the Conservative Party. The Conservative Party reacted to Corbyn’s stunning comeback by saying that his re-election won't be the end of the "bitter power struggle" within the Labour party. Extraordinary to me that over 300,000 Labour members just voted for an unopposed Conservative government. Again! "172 Labour MPs don't think Jeremy Corbyn can lead the Labour Party - so how can he lead the country?" said Tory chairman Patrick McLoughlin. McLoughlin thoughts have been echoed by some in the Labour camp too with John McTernan, a senior adviser to former British Prime Minister Tony Blair, telling AP that Corbyn’s election won’t be the end of leadership debate within the party. "He is nothing other than a complete and utter disaster for the Labour Party," McTernan said. "The battle just moves on." The #blairrites have lost forever well done #JeremyCorbyn congrats from https://t.co/bMJig61o9s bring back the purged !!! Corbyn's key allies and grassroots supporters were quick to dismiss the criticism, with fellow Labour party MP and Shadow Health Secretary Diane Abbott describing the result as "a resounding victory... in the face of a nastier and more bitter campaign than last time." Corbyn is hugely popular on the ground with membership growing from around 200,000 in May 2015 to over 500,000, making Labour Europe’s biggest political party. #Labour member says #JeremyCorbyn speaks the politics she has "felt all her life but no-one has ever articulated." Many feel the same. "Politics is changing," said Labour supporter Emma Hamblett. "It's becoming more people-powered [rather] than just the elite at the top. We're having a voice. It's generating a lot of excitement, especially among the young."